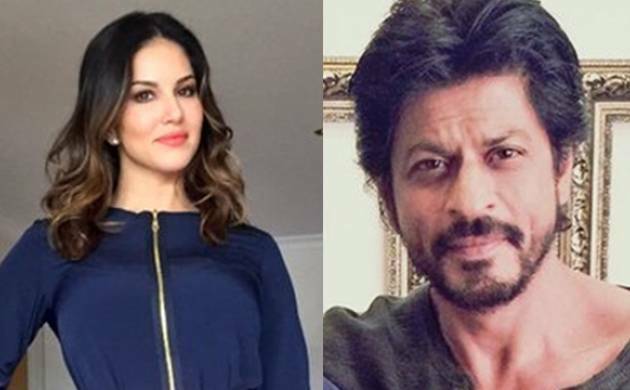 Sunny Leone harboured a dream of working with Shah Rukh Khan since the beginning of her Bollywood journey and as she recently shot a song in “Raees” with the superstar, the actress found it difficult to control her emotions. Leone will be seen shaking a leg with the “Dilwale” actor in the reprise version of the 1980 chartbuster “Laila O Laila” in the forthcoming crime-thriller. The “Mastizaade” actress feels proud to have worked with Shah Rukh, as she had wished for the opportunity “every single day”. “Working with Shah Rukh was unbelievable, it was a dream come true. When you wish for something every single day and then you get a chance, just the offer to work with somebody like him, it was a very proud moment for me,” Leone told PTI in an exclusive interview here. Even though the 34-year-old actress has made a mark for herself in Bollywood with several hit films to her credit, she got very emotional when she saw herself with Shah Rukh in one frame. Usually bold and confident in her demeanour, Leone, was a bundle of nerves when she met the 50-year-old actor on the movie’s set. The “Ragini MMS 2” star says she behaved like a “dork” in front of him. “He is very nice, respectful, and professional. I am such a dork, I get shy, I am like that person who doesn’t know what to talk when that person is standing in front of you. “You admire them, look upto them and you think ‘they have accomplished so much’, and then they’re in front of you and you just don’t know what to say,” the actress says. Leone may be sought after by many in the industry, but the actress had her own “embarrassing” fan girl moment when she first met Shah Rukh Khan. A few months ago, Sunny Leone found herself at the receiving end of some harsh questions by a TV journalist. The face-off, however, won her lot of praises. Everyone, from Anushka Sharma to Varun Dhawan and Alia Bhatt, took a strong stand for the actress. Superstar Aamir Khan had expressed his desire to work her too. This will, however, be the first time when Leone will be seen sharing screen space with a big superstar, after her cameo in Akshay Kumar’s “Singh is Bliing” last year. Directed by Rahul Dholakia, “Raees” is scheduled to release this Eid.